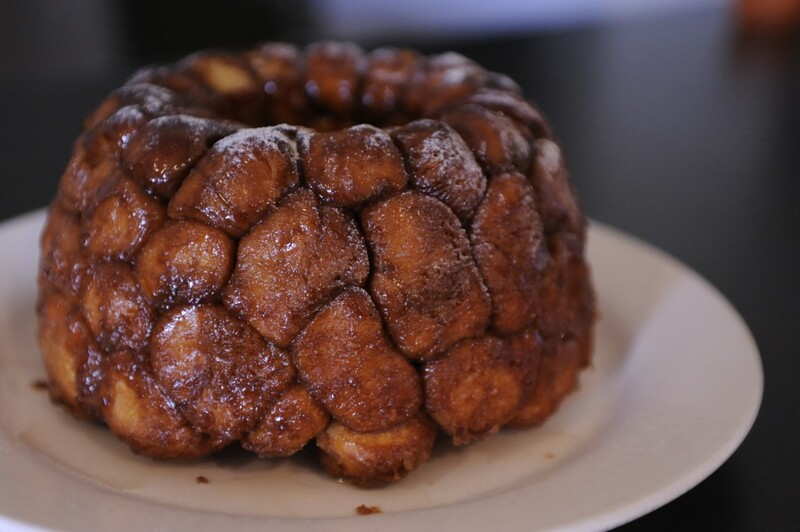 So, last weekend, I needed something for an afternoon tea, and figured that I would give the Cinnamon Monkey Bread a go and did the conversions. I have made some small changes, but only minor. It does take time, but OMG!!!!! It is yummy! 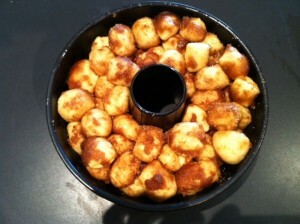 Its like a massive cake tin full of cinnamon doughnut holes dripping in a yummy caramelised sauce. All I can say is MAKE THIS RECIPE! mmmm….nomm….nommmm…nom! When the dough has risen, divide into 8 portions and roll each portion into a long snake (1 at a time). Cut each snake into 8 -10 pieces, and roll each piece into a ball. 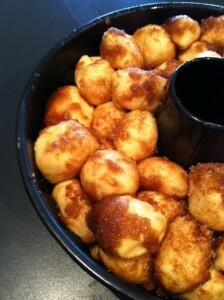 Roll each ball into the sugar/cinnaom mixture and then pop them into a bundt tin that has been sprayed with cooking spray. Repeat for all of the dough and put the tin aside for another 30 minutes to rise again. 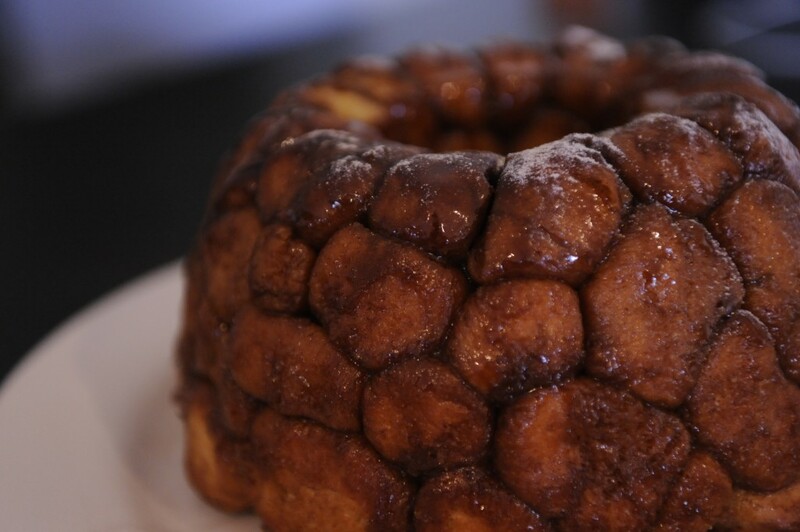 This Monkey Bread is sweet, but such a yummy naughty treat.